SOLO: A STAR WARS STORY PREVIEW NIGHT TONIGHT! I HAVE MY TICKETS, 7:55pm SHOW! 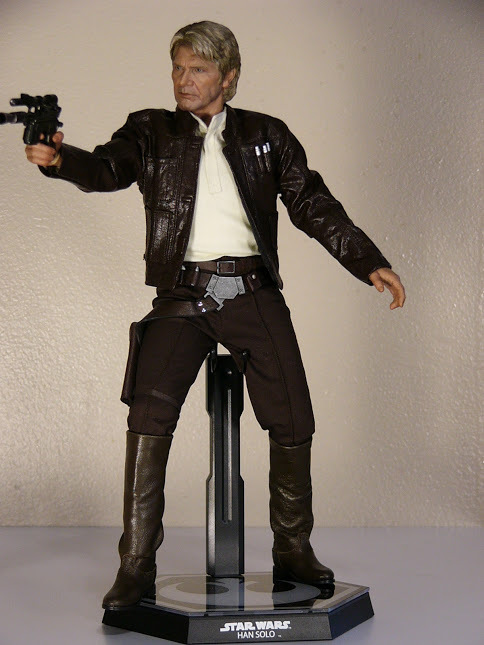 THIS is my favorite Han Solo piece in my collection. Hot Toys NAILED the likeness of Harrison Ford in this sculpt. This was my first Hot Toys purchase, and I was nervous spending that much on a figure. I pre-ordered this in July or August of 2016, and it was suppose to ship in October. It didn’t ship until April, 2017. 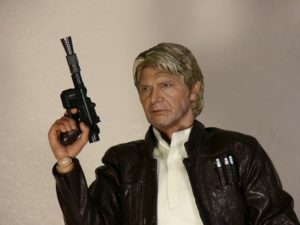 In fact, I was at Sideshow Collectibles booth at Star Wars Celebration, looking at their display figure, when I got the email that mine had shipped! Honestly, when it comes to action figures, I don’t know how you top this. Well, there you have it, a month’s worth of Han Solo-related collectibles from my personal collection. Some simple, some not so much. I hope you’ve enjoyed seeing them. 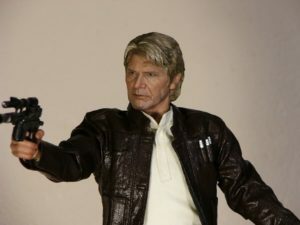 Now, get out there, get your tickets (if you don’t already have them), go see Solo: A Star Wars Story, and of course, may the Force be with you! I’ll be posting a review after I let the movie percolate for a day or so.